We are extremely pleased to share some exciting news. When you open the Tinkercad site on Tuesday August 16th you will have access to the Beta version of our new editor as well as to the traditional editor. So what’s new? First of all, the site has been rebuilt in order to scale as we keep growing the number of users and complexity of models. The new architecture also allows us to make changes more easily. We expect to be able to provide faster updates from now on. In the Beta editor you will be able to see some of the features you have been waiting a long time for. 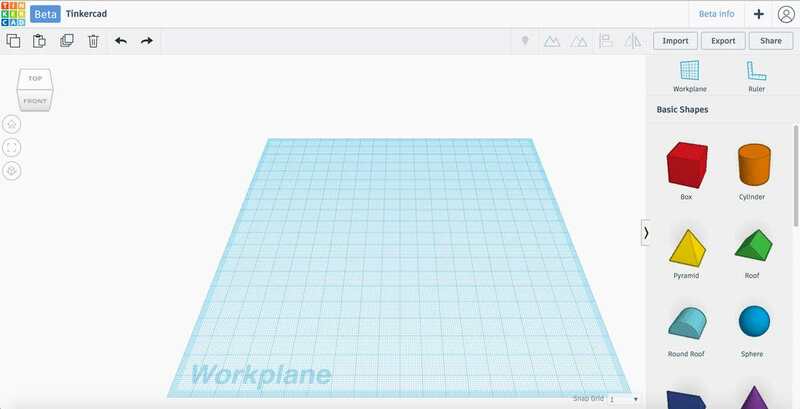 There are three main aspects about Tinkercad Beta that I’d like to focus on: responsiveness, cleaner UI and collaboration. Responsiveness: You will notice the editor is faster for editing shape generators. Try the new text shape and see what we mean. There will be more performance optimization coming in the next weeks, especially for large models. For the time being, we recommend you try Beta with models of small and medium size. Cleaner UI: You will notice several changes here. We have promoted all of the most used features and you won’t have to scroll too much on the right panel, or go through more than one menu to access them. We have implemented a new navigation control, the ViewCube, that allows you to quickly move to a new angle and also choose to see your model in perspective or flat view. Look for more detailed tutorials soon on individual shape controls and transparency coming later this week. 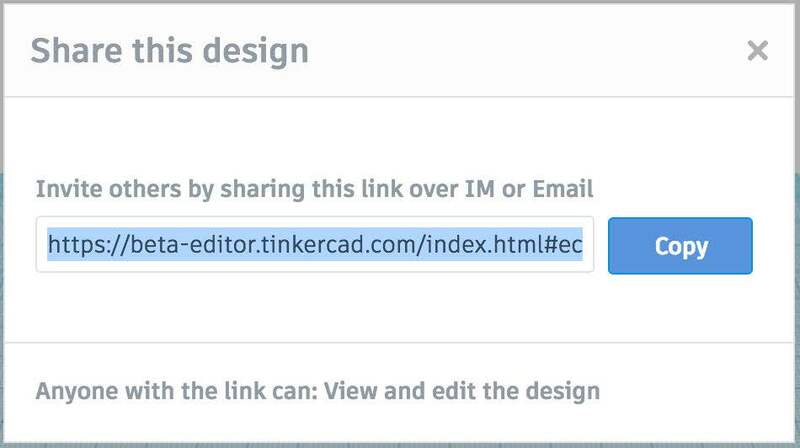 Collaboration: Have you ever wanted to use Tinkercad on a project with another user? We are introducing a workflow for collaboration that will allow multiple users to open and work on a model at the same time! We’d love to hear more about how you would like to use this new feature. In the upcoming days we’ll provide more details about the enhancements on old features and will further explain the new ones. Watch the below video for a quick tour of the new editor. 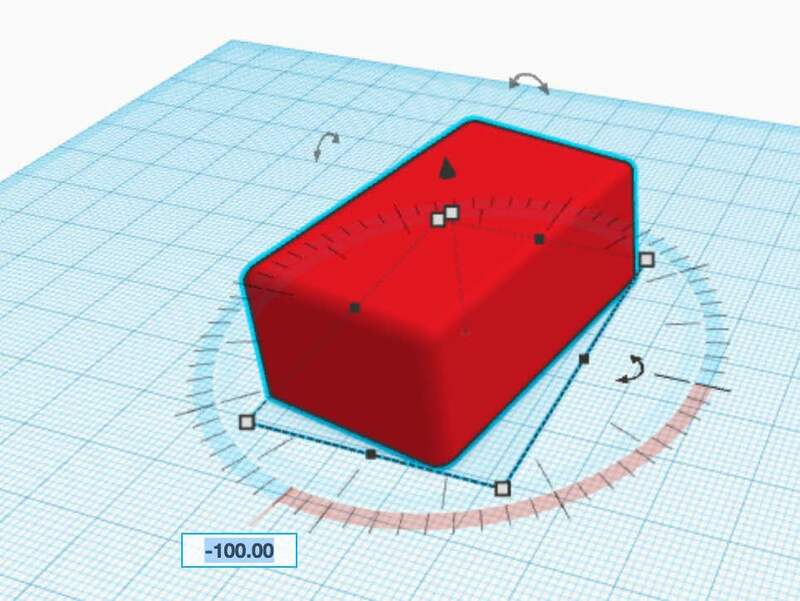 Right now, you can only create new models in the Tinkercad Beta editor using the new features. These new models can’t be opened in the old Tinkercad and will live on your dashboard right next to all your other models. Once you are all familiar with Tinkercad Beta and we have time to gather feedback – our priority will be a safe transition of all the content created to this point. That just means that we’ll create a version of every model so that they will work on the new architecture we’ve created. The old editor, as it exists now, will then be taken down. We will announce this with enough time for everyone to get ready for the change; no surprise outages and no lost models. We are looking forward to building the future of Tinkercad together with our amazing users. This is just the beginning. Thank you and Tinker away!